AirVPN keeps No logs with robust encryption protocols including Perfect Forward Secrecy. It has Open source client coupled with DNS leak protection and WebRTC “bug” protection. AirVPN does not offer a large network of servers and Italy is not the VPN-friendly country. It has a old-fashioned website with non-friendly navigation. AirVPN loses its charm on presentation and newbie friendliness but can easily be backed up with the best users’ privacy coupled with excellent encryption. AirVPN, founded back in 2010, by activists and hacktivists to defend net neutrality, censorship, and privacy. The services debuted as a free service by a company called Air di Paolo Brini c.a., with a fantastic attitude to privacy coupled with technical knowledge to back it up, aiming to protect the user’s privacy, with no intention to record the personal information, surfing behavior, and data. The service is now offered in multiple pricing plans and has gained tremendous popularity among lawyers, security and privacy experts and specialists. Some earn with features, while other cash on pricing options. The AirVPN claim seems like a breeze to use, but is it true? Let’s find out in this AirVPN review. Initially, the VPN was operated by Iridium, started at a pirate festival in Rome, but was later Air took the control. It’s quite unreliable for a VPN service to trust, which has launched at a party by some ordinary activists and hackers. But over the period, AirVPN impresses enough by giving close attention to the bolts and nuts to keep their customers private and secure with their 220 servers locating in 21 countries in the world, topped up with their reliable yet transparent service. Hold on! Is Italy, an ideal location for a VPN provider? Unfortunately No, don’t forget that the country has EU’s data retentive directive and a member of Fourteen Eyes spying alliance. Now, let’s check out the listed features of AirVPN in detail. Operationalized with a couple of dedicated servers in a country, AirVPN stands with a total of over 220 geographical servers across more than 21 countries in 3 continents. Majorly includes favorite locations like; France, Germany, Hong Kong, Canada, Czech Republic, Portugal, Romania, Singapore, Spain, Latvia, Lithuania, the Netherlands, Sweden, Switzerland, the UK, and the USA. We, ReviewsDir continuously review top VPN services, keeping all the VPNs into consideration, AirVPN is the only VPN so far that offers the most transparent monitoring of its servers, updates every 60 seconds; interesting right? 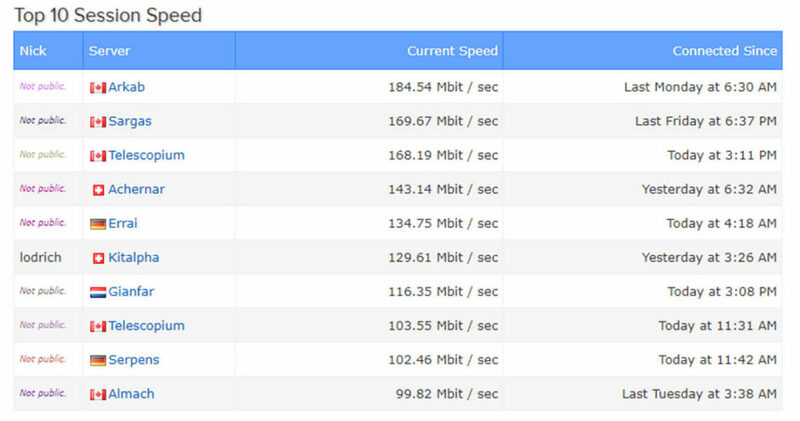 Find online sessions, load time, available servers, best server in each location, infrastructure status current speed, top 10 sessions speed and traffic, and everything you need to know before connecting to a server, right on the servers status page of AirVPN. Note: VPN is basic need for people who need IPs from different regions. Unfortunately, AirVPN has limited options when it comes to locations. We have listed some of the best VPNs that offers hundreds of locations at ReviewsDir. AirVPN supports the OpenVPN protocol; the most secure and reliable solution to encrypt tunnels, offers a higher than the military-grade security. 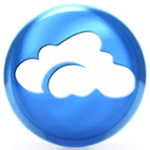 AirVPN offered OpenVPN on ports 443 TCP/UDP, 80 TCP/UDP, and 53 TCP/UDP. Additionally, all the AirVPN servers support OpenVPN over SSH, SSL, and Tor. VPNs get blocked in places such as China and Iran, AirVPN can countermeasures by merely running OpenVPN traffic over TCP port 443; this is the same port regularly used by SSL traffic (the encryption by internet for securing websites and internet services). With this OpenVPN traffic seems like regular SSL traffic, that both hides and makes it difficult to block. AirVPN allows you to change the port setting within the client; you can switch a variety of ports to evade censorship, other than TCP port 443. What about determined adversaries, they can perform sophisticated deep-packet inspection and discover that VPN protection? To respond this AirVPN has a layer of another encryption (SSL or SSH) to hide already secured encryption. We recommend you to go with SSL and NASA may be able to detect previous SSH protocol. The only deal-breaking point of SSL and SSH tunneling is the additional requirement of processing power to defeat the Great Wall of China; this slows down your internet. To keep the trend of blocking VPN and other geo-spoofing technologies by streaming services, AirVPN has a fancy DNS routing system with double-hops to connect through internal servers, just to bypass censorship. This means that connecting to a server outside the US or UK, and accessing Hulu and BBC iPlayer quickly, we tried and it worked well. But this doesn’t work all the time. AirVPN is one of the only few services that offer VPN through Tor; connect to Tor first then a VPN. It’s kind while making online payments; AirVPN never gets to know who you’re and does not even see your real IP address. VPN through Tor affords absolute anonymity, something not possible with every VPN; therefore VPN and Tor regarded as the best way to attain near to complete privacy. Bear in mind that the AirVPN presents a fixed point in the chain; that’s potentially be compromised over time. Privacy, the reason you, an internet user trust a VPN, so make sure your VPN provider doing the job well. AirVPN is hiding everything we are doing on the internet behind a barrier. Be it web-surfing or online payments; the service keeps no logs of anything we do. Not all the VPN providers in the market keep your details as private as they boast; some keep logs at least for a few days, while some share your information with the law-enforcing agencies, in case the court orders. Don’t worry! With AirVPN there’s no chance of sharing your data with the court, even if the court requests; as the service provider does not keep your logs at all. Caveat – Keep in mind that no VPN is absolutely secure; your web traffic still route through a company and companies can go rogue. Evading American ISP means transfering distrust of Comcast/Charter with the trust of your VPN. The best things about AirVPN is the open-source client, OpenVPN, with the codename “Eddie.” Since Eddie is open-source, so the users can monitor the source code just to make sure that everything is working as it’s supposed to, and no one sees sensitive information. Being the user, you have the total access to the code. Eddie has features for both advanced and basic users; starting with AirVPN, or any other VPN, Eddie is there to help you pick the best server. It’s the list of stats that pinpoint the right direction for you based on the users, current latency, etc. Following the contemporaries, AirVPN also boasts support for all the popular operating systems including Mac, Mac OS X, Windows, iOS, Android, and Linux; topped up with dedicated client apps for Linux, Mac, and Windows. 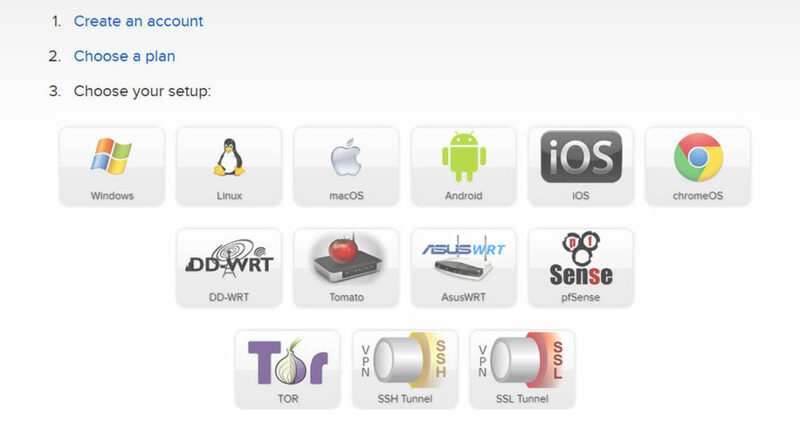 The service also supports DD-WRT, Tomato, pfSense, and AsusWRT routers. Don’t stress about their setup, AirVPN has detailed guides of all supported platforms. AirVPN’s custom desktop client tagged as Eddie; an open-source that can be managed independently and audited to ensure no unwanted disturbance. We wish other VPNs should also cash this opportunity. 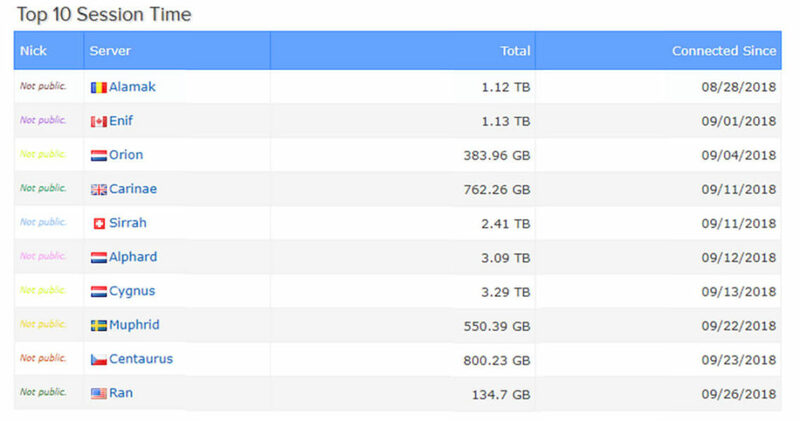 Eddie boasts the dynamic selection of servers, DNS leak protection, and in-depth stats to take you to the best yet fastest server. A big thanks to the real-time logs, which makes it possible to keep an eye on Eddie’s performances. On the main screen, you will find the lock that indicates Network Lock, that prevents any flow of traffic to and fro from your system outside the VPN tunnel. Even without enabling Network lock, AirVPN has good DNS leak protection for you, we have encountered no DNS leak using the service. To make DNS leak impossible, go with the Network lock, which acts as a kill switch. The only drawback with Eddie is that it automatically changes the Windows DNS settings; though it’s good that all DNS requests control by AirVPN, as far as the client is active, as the client shuts down suddenly, then you need to reset the DNS settings before connecting to the internet manually. Eddie is considered as the most feature-rich as far as other Windows clients are concerned, offers an eye-catching yet more straightforward interface, though overcrowded and overly-knowledged. OpenVPN for Android is also an open source client uses the VPNService API of Android 4.0+ and does not require Jailbreak and root to run on your android screen. You can also translate the app into your native language, just click the language tab on the homepage. OpenVPN for Android run with its own non-vulnerable OpenSSL version. Import .ovpn profiles easily from OpenVPN Access Server, iTunes, Private Tunnel, or via a browser link. State-of-the-art power management that minimizes battery usage. The client also supports multi-factor authentication with OpenVPN static and dynamic challenge/response protocols. As far as graphics are concerned AirVPN’s website is quite dull and slightly complicated but is perfectly functional. The site is more for advanced users than beginners, as you will find a sea of features on the main screen; you might get confused initially but will find all the features valuable and useful. In case you don’t understand anything, find all the answers in the active forum section. Additionally, for your convenience and in-depth understanding, AirVPN’ website has detailed features, be it encryption, DNS leak, and all the other technical features, you will find the detail of every element. Customer support comes in two ways; the form and via a ticket system. Customer Support takes an hour to respond and work only during European working hours. We tested their customer support staff; we got the courteous and very knowledgeable yet friendly and knowledgeable ( highly technical) response. This kind of response is excellent for experienced users but may leave the less technically inclined somewhat baffled. To get technical support, we recommend you to go with the backing through email, as emails offer a detailed response, but takes 24 hours. However, there are forums to outline every VPN -related query, but again not feasible for beginners, as the discussion is loaded with advance tech talk, making it difficult for VPN stranger to understand. AirVPN has single ‘Premium’ plan, starting at €1 or $1.24 for a three-day trial, in bulk purchases, you will get discounts up to 30% for monthly and trimester, while up to 35% off if purchased annually. The website presents prices in three different currencies; US dollars, Euros and in Bitcoins. All the five subscription plans feature all the services, making it reasonably low-priced option compared to competitors. Want a three-day free trial? Contact the service provider and lodge a free-trial request or else go with a three-day plan in case you’re impatient. The free trial is subject to limited bandwidth. Unfortunately, AirVPN does NOT entertain a refund, and you can’t even cancel your subscription prematurely. Therefore, we suggest you to try a three-day plan to give AirVPN, a spin. As far as supported payment options are concerned, the company accepts multiple options including credit cards, vouchers, PayPal and some cryptocurrencies. You must have a lot of other questions in your mind regarding the VPN service. We know it and to most of our knowledge, we have gathered the answers for you. 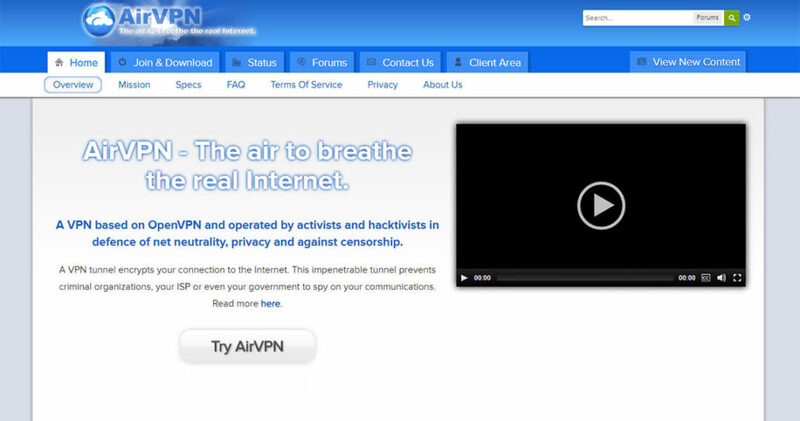 Does Air VPN Work in China? To find out whether the users in China can enjoy the real Internet in spite of China’s relentless battle against VPNs, tested the service and here what we found. Going with the default settings, it did not perform well; although our first attempt was quite disappointing, we didn’t give up. With additional tunnel layers, we tried again and believed me the SSL tunnel worked like a pro at an unexpected speed, accessing blocked content with no such issues. We logged into Gmail, spent few minutes on Instagram and watched some cat videos on YouTube. SSH tunnel was an unsuccessful attempt. Keeping our tests into context, we can safely say that to enjoy your internet freedom in the anti-VPN region like China, AirVPN is good to go, but don’t forget to go with the SSL tunnel layer. A well-recommended VPN, AirVPN has everything an average user may count it as the best VPN and is surprisingly affordable but not impressive regarding geographical coverage. With this in mind, it’s entirely unexpected for such VPN to have a Netflix access; we were not too disappointed to find out that AirVPN doesn’t work with US Netflix currently. US Cursa server was an excellent option to unblock Netflix with AirVPN back in 2017 but was blocked by the entertainment giant. Since then the company is least concerned about Netflix, seems like not interested to invest efforts for us to stream our favorite content. We’re still hopeful that AirVPN would take a step and offer Netflix accessibility at some point in future. We will keep trying and regularly update this AirVPN review; may we will have some good news to report shortly, so keep a check for updates. AirVPN guarantees full access to exit-nodes, without traffic, bandwidth and time limitations, while streaming live videos and downloading torrents. Availability of multiple protocols further compliment to torrenting; hide your IP with different protocol whenever browse the internet and stay away from prying eyes. Note: If air VPN is not your preferred choice for downloading Torrents, we have a list of some better options for Torrenting VPN as well. 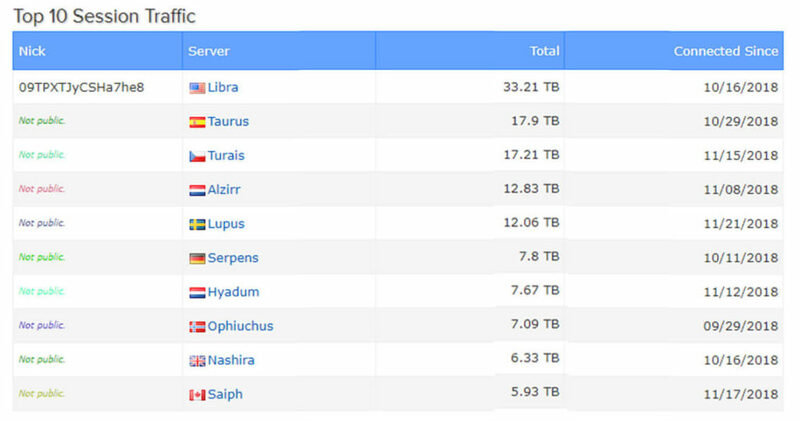 Since AirVPN shows server load, so it’s an excellent opportunity to use fastest servers, just make a list of quick servers before playing any game. Games are keep changing so does the gamers’ craze, AirVPN offers three-day package, which also helps online players to try the services to play a tournament or any LAN party; gamers, don’t forget the five simultaneous connection!. Keep in mind that the AirVPN operated on -function over form- mantra; means fast and highly capable, but you have to have the proper knowledge to get the maximum benefits out of it. AirVPN is not the best VPN on the market, and it falls short in specific areas, but has particular abilities, offering great value regarding security, no-logs policy, and a range of protocols. Talking about dedication to privacy, technical know-how, and cool features, AirVPN is quite impressive, but still, the service failed to engage wider audience due to tech-heavy focus. This is good for providing meticulous details, but at the same time, an unfair practice to turned-off the general users; many users are struggling with it. We respect and appreciate all the features it offers just to provide access to multiple blocks including Netflix. In a nutshell, if you want a robust all-around VPN, AirVPN is the right option.